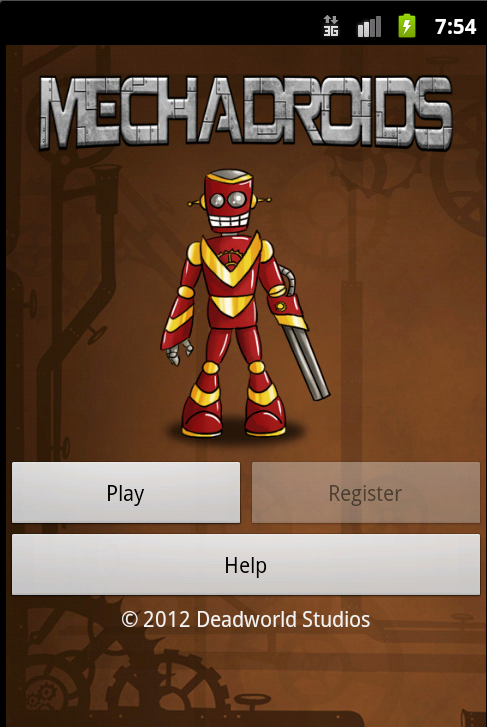 Mechadroids is a pick up and play multiplayer strategy game for Android. Our 4 month, going on 14 month, Android development project is finally coming to fruition. We’ve really been pushing ourselves hard to get everything wrapped up and in five days time, on the 30th of May, we’ll be releasing Mechadroids onto Google Play! Epic thanks go out to our community for their testing, feedback and constructive (and not so constructive) criticisms. Also, massive thanks goes to our Artist, Alix Briskham (portfolio here), who has turned Mechadroids from an obfuscated and confusing sprawl of poorly drawn images and icons into a sleek masterpiece of awesomeness (with a lot more improvements and premium content coming very soon). So, ladies and gentlemen, get your Mechadroid ready. Mechadroids is coming, for honour and glory! We are finally here. This is the last Mechadroids release (baring any game breaking bugs) before we push out to Google Play and rename to version 1.0.0!